Here is the article in Uppercase that I had mentioned earlier. 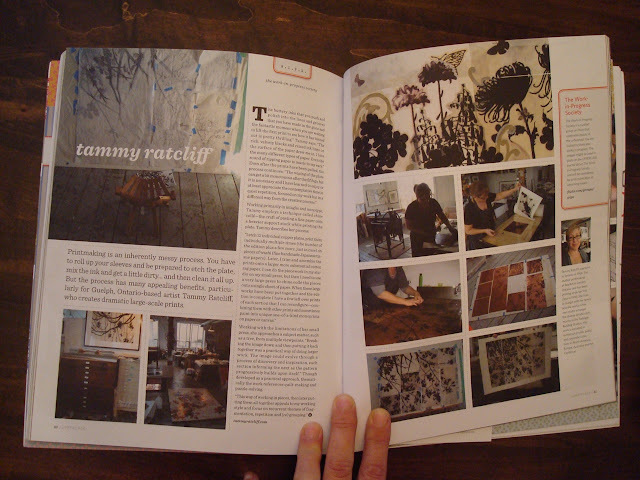 Still so excited to see my work and process in print- in such a fine magazine, no less. What I really love, is how Janine decided to focus on the printmaking process and all the fussy details. I might use this article quite a bit to help explain what I do and how I do it. Congratulations. This must be a wonderful feeling.